I started to write this blog post awhile back but got sidetracked by Pierre de Morlaix, who I hope you all know by now is a figment of imagination. We are lucky that John Perkins does have a long list of documented ancestors. John was born in Hillmorton, Warwickshire, England. He was baptized on 23 December 1583 in the Church of St. John the Baptist. His parents were Henry and Elizabeth (Sawbridge) Perkins. The Village of Hillmorton no longer exists as a separate entity, it was merged with the market town of Rugby in 1932 and became a suburb, but at the time of John's birth it was a rural village near the river Avon. 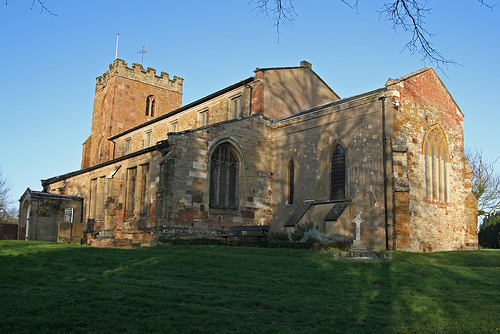 His family had lived in the area of Hillmorton since at least the early 1500's. John Perkins' ancestors can be traced through their wills, beginning 1528 and the parish records of the church St. John the Baptist which provides dates for births, marriages and burials beginning in 1565. The ancestry of John Perkins in Hillmorton can be traced via a paper trail to his Great Grandparents, Thomas and Alice Perkins. Thomas, date of birth unknown, wrote his will on 3 April 1528 and it was proved a few weeks later on 21 April. His wife Alice outlived him by 10 years, she wrote her will in July 1538 and it was proved in October of that year. A quick note about Alice, her maiden name is not known and she is definitely not the daughter of Sir Thomas and Edith (Constable) De Astley. Thomas died in the Battle of Evesham in 1265 so I think that rules him out as her father. Thomas and Alice had at least three children that lived to adulthood, they were Henry, Jone, and Jelyan. He owned land and tenements in Hillmorton and nearby Lilborne. In her will Alice names her son Henry and Jeyn Slayter and Juliana Cumpton, her now married daughters. Thomas and his wife are buried under the floor of the Church of St. John the Baptist. Henry, son of Thomas and Alice died in 1547, his will is missing but the date it was proved was recorded. He had at least three children, his son Thomas was his heir and he had two other children, William and Joan, who seemed to have died unmarried. Thomas married Alice Kebble and they had at least seven sons who lived to adulthood. Thomas' will was proved in May of 1592. Thomas' oldest son was Henry, father of our John Perkins. He and his wife Elizabeth Sawbridge had at least 11 children, many of them sons. As you can see, the number of males living in the Hillmorton area was growing exponentially with each generation. I imagine that the prospect of getting land to farm might be difficult, especially if you were the youngest son. John's father died in 1609 when John was about 26 years old, but many of his siblings were under 21. John married Judith Gater, daughter of Michael Gater of Hillmorton on 9 Oct. 1608 at St. John the Baptist. They had their first child less than a year later. Over the next few years their family continued to grow, by 1624 they had six children. For whatever reason, lack of land or a desire to join the Puritan experiment, John Perkins, age 48, removed his family to the Massachusetts Bay Colony. They left England in December 1, 1630 aboard "the Lyon". There were only about 20 passengers on that crossing, the ship was mostly carrying cargo for the new colony. They landed Feb 5 1631 in Boston. The winter of 1630/1 was very difficult for the new Colony, almost 200 of the Colonist died and many had decided to return to England. The arrival of the Lyon, laden with much need supplies was cause for celebration and John Winthrop ordered a day of Thanksgiving and Prayer. I wonder what the Perkins family thought when they disembarked and found that many of the colonist were bailing out and taking the Lyon back to England. John and his family first established themselves in Boston. They joined the First Church of Boston as members number 107 and 108 and John was made a Freeman on 18 May 1631, only a few months after landing. By 1633, however, the family had moved to the just settled plantation of Ipswich. 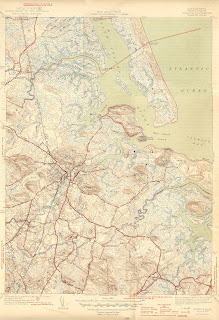 John built his house on the river near Jeffries Neck on what is now East Street. He received land in 1634, 1635, 1636 and 1639. As with most men in the Colony, John was called on to perform civic duties. He served on Grand Juries, Petit Juries, help appraise estates and set boundaries for the newly developed plantations. In 1650 John was judged to old to participate in military training and was freed from that duty. On 28 March 1654 John Perkins wrote his last will and testament. This will was proved on 26 September of the same year. John lived to a good age of 71 years and was able to see his children grown, married and settled, something that few men of that time could witness. 1. John Junior bp. 14 Sept. 1609 Hillmorton m. by 1636 Elizabeth Unknown d. 27 Sept. 1684 Ipswich. Both Elizabeth and Mary are my ancestors. Learn how to cite your sources like a professional by ordering Elizabeth Shown Mills Your Stripped Bare Guide to Citing Sources available at Amazon.com by clicking the link. While doing research on my ancestors I frequently search the records of the Quarterly Court of Essex County to see if they have either been on a Jury or in front of Jury. The records include civil and criminal cases brought before the court. Many of the cases are serious crimes, but just as many are seemingly frivolous occurrences that hardly warrant the involvement of the courts never mind arrest and punishment. But these are Puritans that we are speaking of, so nothing should surprise us. Here are two case which I found really funny, I guess the Court was not so amused. I have copied it word for word with their spelling, not mine. Daniell Owls to pay 2s. or sit in the stock for "Leaping and dancing at his house and had like to fale into fire he answered I do not care for the best maiestrat in the Land. If mett them in the field I should slash them for I have beene a pretty fellow in my tyme". Complained of by Mr. Pester. Mr. Ruck presented by Mr. Edmund Batter for baking of white bread contrary of order to the court and for allowing tippling at his house. Ruck to be admonished, fined 20s. and cautioned concerning leaving the ordinary. My Thornton ancestors can be traced to James Thornton from Londonderry Ireland who in 1718 was part of a Scots Irish migration to America. 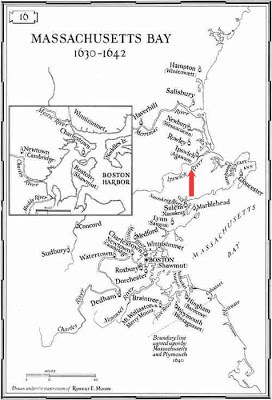 Landing first in Boston, the made their way up to Maine, returned to Massachusetts and settled in Pelham, MA and from there spread out across New England. The descendants of James Thornton were researched and published in a book by Charles Thornton Adams, published in 1905. This book is the go to book for information about our Thornton relatives. Very little is written about Samuel Thornton. Charles Adams says that Samuel lived in Campton, New Hampshire and then in Hatley and Stanstead in Canada. It says he was married twice, neither wife is named. It states he had 22 children, 11 by each wife. Also given are a partial list of his children's names including: Samuel (2), Reuben, Sarah, Abram, Dorcus, Eleanor, William, Sumner, Hannah and ?. And that's all he has to say for Samuel. It seems hard to believe that a man can have two wives and 22 kids and nobody knows anything about him. I did find his name in the Pelham, MA records, but only briefly. Samuel (2) and Dorcus are the only children about which anything is known. So, I chalked Samuel (1) down to an unsolvable mystery. For some reason I got it into my head to try to join the DAR, The Daughters of the American Revolution. I have plenty of "patriots" in my tree, men who fought in or aided the American Revolution. I assumed that I could get in using Enoch Rowell, as he would be the easiest to prove. Imagine my surprise when the DAR genealogist told me that my best bet would be to use none other than Samuel (1) Thornton. According to the DAR Samuel is already a confirmed patriot. He was born in 1720 in Maine and died 27 Jan 1796 in Lanesborough, MA. His wife was said to be Mary Ann Craven, born in Penobscot, ME. I told her that I did not believe this to be correct information, that I had something different, but she insisted that the DAR information is 99.9% correct and that it had been reconfirmed in recent times. Well, what do you say to that kind of confidence. She explained what documents I needed to provide to prove my relationship to Samuel. Of course when I got home I looked up what I had on Samuel to compare it to her research. She said that his name was Samuel K. Thornton, so I google his name and Mary Ann Craven and lo and behold up pops their marriage record in a Lincoln, Penobscot book. Guess what, they were married October 26th 1878. Samuel K. was born in 1835, served in the Civil War and died an old man in 1908. Hum, I guess this is that 0.01% error. I think Samuel K. Thornton just got ruled out. The genealogist also said that according to her records Samuel lived in Lanesborough, MA, and I did find him in a 1790 census of Berkshire, County. I also found the names Samuel and Benjamin Thornton in a history of Lanesborough, they had both served in the Revolution according to it's author. I have looked at all the Revolutionary records on Fold3 and cannot find either of them. I did find something interesting though and it got me really thinking that maybe the Thornton book by Charles Adams got it wrong. James Thornton, son of William, Samuel (1) brother, was born in Pelham in 1745 and moved to Schenectady, New York with his father. He married a woman named Antje Schermerhorn and had multiple children whose names include: Dorcus, Samuel, Abraham, Catherine, Mary, Margaret, William, and James. This caught my eye because Samuel (1) was also said to have a Dorcus, William, Abraham and Samuel. Samuel, son of James, was born on Feb 3 1776. Our Samuel was believed to have been born around 1775. Is it possible that the father of Samuel (2) was really James Thornton and not Samuel (1)? It might explain why there is no information on Samuel (1) and his 22 children. What do you think? Comments welcome! And what should I tell my DAR lady? Do I just go ahead and join knowing that my "patriot" is likely an error! What a dilemma. Are you a descendant of James Thornton? I would like to hear from you! 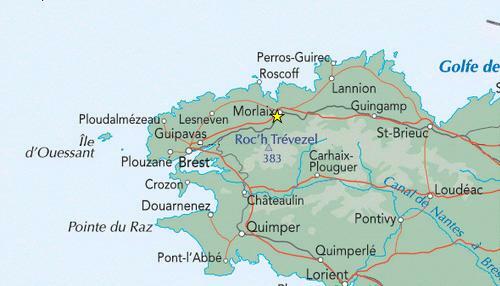 Pierre was born in Morlaix, on the Breton coast in the year 1312. This area was part of the Duchy of Brittany in the year 1300 and was under the control of John II Duke of Brittany and Earl of Richmond. He was from the House of Dreux, b. 1239 d. 1305, he was married to Beatrice of England, daughter of Henry III. Pierre left Brittany and first settled in Salop, or Shropshire, England. Moving far ahead in history, there came a time when the descendants of great men became gentlemen, yeoman, tradesman, and of course just farmers or tenants. Their ancestor, a Knight, had a "coat of arms" which he wore on a surcoat to identify him in battle. This coat of arms, which should have been passed down through the eldest son, was not deemed important or even necessary and was oftentimes forgotten. In other instances the coat of arms might be used by men not entitled to it for their own benefit or vanity. 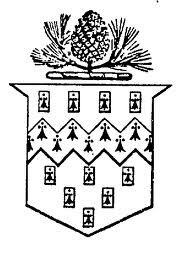 Coats of Arms, otherwise known as Heraldry falls under the jurisdiction of the College of Arms, aka the Herald's College. The College is responsible for the correct use and maintenance of Coats of Arms. (note I am not using the term "family crest" as there is no such thing) In 1530 King Henry VIII authorized the "Heraldic Visitation". The Heralds visited all the counties of England and sought out misuse of coats of arms and found those who were entitled to arms but did not know it. 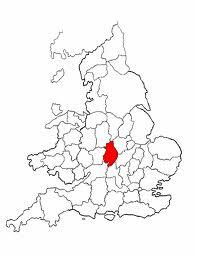 There were four visitations to the county of Berkshire, including one which took place in the year 1623. This visitation was recorded in a manuscript called MSS Ashmole 852. The heralds recorded genealogical data on the prominent families and institution in the county of Berkshire including the Perkyns family of Ufton. The herald was able to trace the Perkins family back to an ancestor called Peter who they say was alive in the year 1381. So what does Peter Morley alias Perkins have to do with Pierre de Morlaix, ah but you already know the answer to that or you wouldn't be reading this. Well once again we have to skip ahead in time to the late 1800's and early 1900's, a time when many Americans were researching their ancestors including those in Europe. In January of 1884 George Augustus Perkins published a book "The Family of John Perkins of Ipswich, MA. He seems to be the first person to put down in writing "my family history begins with Pierre de Morlaix". He states that Pierre was a Norman born in the town of Morlaix in France who became the High Steward of the estates of Hugo Despenser. Pierre married Agnes Taylor and they had a son named Henry, who on his fathers death became known as Henry Pierrekins. 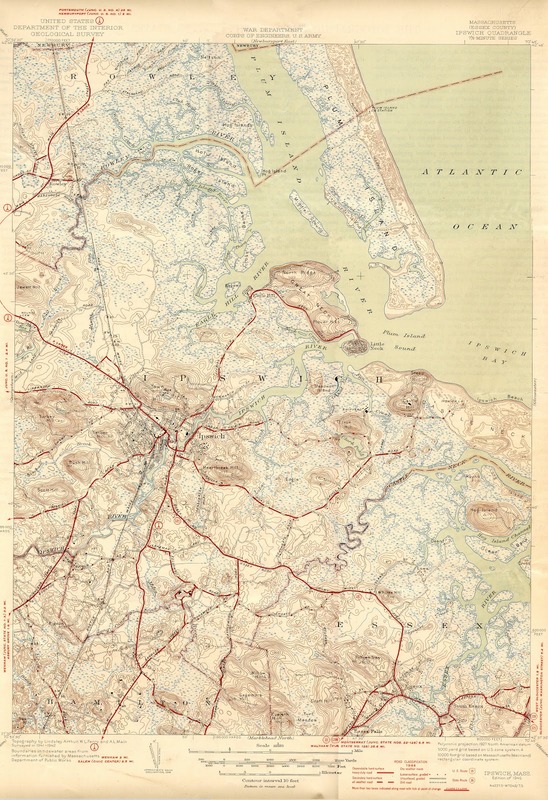 In 1890 Augustus Thorndike Perkins published a volume entitled "A private proof printed in order to preserve certain matters connected with the Boston branch of the Perkins family". In this book, this Mr. Perkins confirms the suggestion that Peter Morley is none other than Pierre de Morlaix. Where the two Perkins authors got their information on Pierre is unkown. A. T. Perkins states in his book that Pierre is probably a Norman of good education and that he was born either in England or Morlaix in France. Pierre, he says, is the high steward of Hugo Despenser, one of the most powerful men in all of England, and he goes on to say that there is some reason to believe that Pierre is also bailiff of Malvern Chase, once site of Hanley Castle, birthplace of Anne Beauchamp, one of the medieval worlds greatest heiress'. He neglects to give the reasons why we should believe his information. Mr. Perkins does not give the reader any clue as to the birth date of Pierre, nor does he mention the county of Shropshire, remember Petrus Morley is of Shropshire. 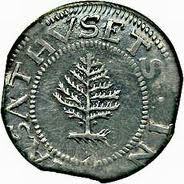 He does however seem to interpret the Latin word Servius, which means servant or slave, to hold a different meaning, that of high steward. In January of 1892 Miss Mary Sharp published a book entitled "The History of Ufton Court", which includes genealogical information about the Perkins family. She too, traces the family to Petrus Morley alias Perkins, but does not mention the name Pierre de Morlaix. She interpreted the Latin word Servius to mean bailiff and says that Peter was the bailiff or manager of the estate of Shipton which belonged to Hugh Despenser III. 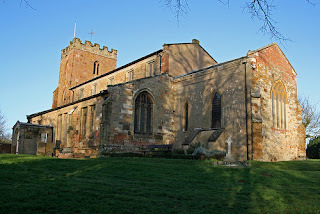 She, unlike Mr. Perkins, notes that in the manor rolls of Madresfield, Worcestershire, in the year 1388, is found the name Agnes Taylor, daughter of John Taylor. Agnes Taylor was the wife of Petrus Morley. We are amused to read that Ms. Sharp's interpretation of servus "bailiff or manager" of the estates belonging to Lord Despenser at Shipton. This is an euphemistic reading of the term which is not correct. When will pedigree-makers presumably Christians, learn that there is nothing derogatory in having an ancestor who was a slave or servant". In January of 1916 another book is published on the Perkins family, the author this time is Mansfield Parkyns, the book is entitled "The Perkins family in ye olden times". This book is really a series of letter that Mr. Parkyns exchanged with other Perkins researchers including Adolphous Thorndyke Perkins and Miss Mary Sharp. Although he too includes the ancestry based on the visitation of 1623 he cautions in his introduction that "the last two or three generations (within the knowledge of the persons who attested to the pedigree) may generally be trusted, beyond that they are useful. "In the time of Henry VIII the heralds were getting so poor from general disregard of such matters that they started these "visitations" and traveled about like modern "bagmen" trying to get people to believe in the ennobling virtue of coats of arms etc. for the sake of their fees and did more mischief to history, genealogies etc. with their blundering pedigrees and coats of arms that can be imagined." On page 35 of his book he says that he has found evidence of the name Perkins in Madresfield in the year 1318, a Juliana Perkins is named in the Subsidy Rolls for Worcestershire He says that he frequently found the names Perkins and Mor or More, which is a Shropshire name, but never the name Morley. He also has his own interpretation of the word Servius. 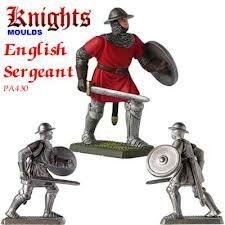 He believed that this meant Sergeant, as in Sergeant at Arms, a step below Knight. He did not believe that Peter was a steward, and certainly not a "high steward". He also make a very important statement, that the only knowledge that we have of either Peter Morley Perkins or his son Henry is from the Visitation. Those names cannot be found on any other document, period. Now to his opinion of Pierre de Morlaix. In Chapter 15 called Mistakes Corrected Mr. Parkyns prints a letter from A. T. Perkins who admitted that his book was full of errors concerning Pierre de Morlaix. Mr. Parkyns goes on to say there are no records which contain the name Pierre de Morlaix and that if he existed at all he was not Peter Morley Perkins of Shropshire. So this brings us to the more modern writing of the Perkins history by Mr. James Fulton Perkins. His essay on the Perkins family is one of the silliest pieces of writings I have ever seen. The biggest problem with his essay though, is that people are coping it and quoting it and perpetuating his errors. A big chunk of his essay ended up on Wikipedia, which made me rethink using that site as a source. I don't mean to sound harsh, but if you put yourself out there on the internet then you open yourself up to criticism. 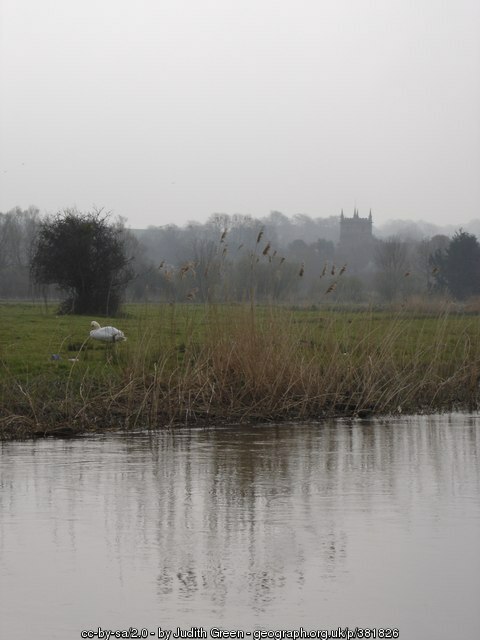 By 1066 King Harold had come to throne of England and was enjoying peace and prosperity. However, the invasion from France and their victory found many Englishmen moving. Okay, did I mention I have a problem with his grammar as well. I think he means that England was enjoying peace, not the King, but anyway, Harold was crowned on Jan 8th, he was dead by Oct. 14th, fighting in the battle of Hastings. Doesn't sound like a peaceful year to me. I have no idea what he means about Englishmen moving and where did these Englishmen move to? Pierre changed his name to the English translated version of "Peter Morley" when Charles V, the black prince of France renewed the Hundred Years War with England. Charles V was the King of France, he reignited the Hundred Years War in May of 1369. The Black Prince was Edward, son of King Edward III and heir to the English Throne. Because of the French victory at the Battle of Hastings, Frenchmen became "persona non grata" in England so to conceal his French origins Pierre changed his name to the English translation. Hum, not sure what is going on here, the Battle of Hastings was back in 1066. Unwilling to end the heritage of the deMorlaix name when Peter (Pierre de Morlaix) Morley married Agnes Taylor, daughter of John Taylor of Madresield (sic) Worcestershire England, they had a son. He was to be named Henry Pierrekin , meaning "first son of Pierre" born 1340 in Shropshire and died in Hillmorton, Warwickshire, England. So I have multiple issues with these two sentences, the first of which does not even make sense. If Pierre didn't want the de Morlaix name to end, why wasn't his son name de Morlaix? Also, remember that the names of Peter and his Henry are only found in the Heralds genealogy and their surname was spelled Perkins. Henry was never called Pierrekins, which means "little Pierre" not "first son". No one knows when Henry was born, where he was born or where he died. The Perkins did not live in Hillmorton until more recent times. I could go on and on about the lack of facts or even logic in this essay, but I will stop here. Here is what I believe based on my research: there was no Pierre de Morlaix. There may have been a Peter Morlay Perkins and a son Henry, but there is no proof other than what was written by the Heralds. The Perkins name was found in Worcestershire by 1318 so it did not originate with Peter Morlay. If Peter did work for Hugh Despenser, it was in a minor role on the Manor of Shipton in Oxfordshire, Hugh III was dead by 1346, his estates were inherited by his nephew. There definitely was a John Perkyns, and his name is recorded and can be found in contemporary records. More about him later. Comments welcome, even if you disagree. One caveat you must show your sources! Writing this blog really brings home the name family connections as it relates to the interwoven lives of my early ancestors. Christopher Osgood was married twice, his first wife was buried in England, his second wife buried him in New England. This second wife, Margery Fowler became the wife of another ancestor, Thomas Rowell. Although I am not related to her in anyway, that I know of, she was married to two of my ancestors. She was to marry twice more in her lifetime. 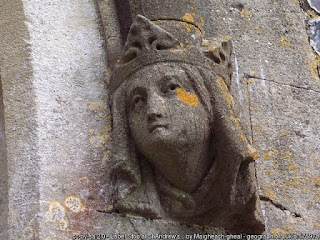 I have two Mary Osgoods in my family, one the daughter of Christoper and one the daughter of William of Salisbury. There was also a third man named Osgood in New England, John Osgood. Many people try to connect these three men as family but there is no proof of any relationship, yet. Given the lack of potential partners and the need to be married, it shouldn't come as any surprise that there were so many interconnections. It makes for an interesting family tree. Christopher Osgood was born near Marlborough, England in a tiny village called Newton Tony in the county of Wiltshire. Marlborough is said to be the legendary burial place of Merlin the Magician from the King Arthur story. In 1642 the town paid a heavy price for backing Parliament over King Charles, the town was sacked by the King's soldiers and many buildings burnt. If Christopher left family behind when he left for Massachusetts they may have be greatly affected by those events. Christoper was baptized in St. Andrew's church on 17 April 1606, the son of Thomas and Margaret Skeat Osgood. He was the fifth of nine children. His mother died when he was only ten years old. Margaret's youngest child was still a baby when she was buried on 1 May 1616. Christopher was the only child in the family who immigrated. I guess he couldn't talk any of his six brothers into joining him in his adventure. So, if I have confused you with this ancestry, it should look like this: John, Christoper, Thomas and then our Christoper the immigrant. Christopher's first wife was Mary Everett. 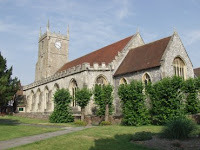 The pair were married on 21 April 1632 in the beautiful St. Mary's church in Marlborough. It was not to be a long marriage. Mary gave birth to their only child, a daughter, on 17 March 1632/3, she was buried a littler more than a month later, on 22 April 1633. As with most widowed men with small children, Christopher wasted no time in finding a new wife. He married Margery Fowler a little more than three months later on 28 July 1633. They were also married at St. Mary's. The first town meeting and division of land occurred in August of 1634, there was no mention either Christopher or Philip. At the town meeting of 5 Jan 1634/5 both men received their first lot of land consisting of 4 acres of marsh and meadow lying northward of town. A few weeks later, on the 26th of Jan. both men were given an additional 6 acres for them and their heirs forever. Christopher continued to receive land as the divisions continued. In January of 1642 and in 1650 Christopher was selected as a juryman. 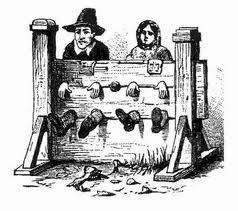 The early settlers seemed to drag every minor offense into court, charges of trespass, slander, defamation, fines for this and that. They were a very litigious bunch In 1645 he was on the grand jury, and again in 1648. Christopher wrote his will on 18 April 1650. He was probably a fairly young man by today's standards. If he was born in 1607 then he would have been only 43. His will was not probated until October of that year. Did he have some lingering illness, we will never know. He left behind his wife Margery, daughter Mary by his first wife and Abigail, Christopher, Elizabeth and Deborah. In his will he gave daughter Mary ten pounds, daughters Abigail, Elizabeth and Deborah got five. Christopher was to receive the bulk of the estate with Margery as the executor and administrator of said estate. On 10 October 1650 Margery petitioned the court on the matter of her late husbands will. This petition was heard by the General Court in Boston in December. This court found that there was not enough value in the estate to pay the legacies left so they adjusted what each daughter was to receive Mary's share was reduced to 8 pounds and her half sisters were to receive 4 pounds each. Christopher also stipulated in his will that his daughter Mary should not marry without the advice of her stepmother. Mary married only a few months after the death of her father. I don't know if her stepmother approved or not. "England Births and Christenings, 1538-1975," database, FamilySearch(https://familysearch.org/ark:/61903/1:1:N2HB-P5C : accessed 30 January 2016), Christofer Osgood, 17 Apr 1606; citing NEWTON TONEY,WILTSHIRE,ENGLAND, reference ; FHL microfilm 1,279,336. FreeReg. "basic search." Database, FreeReg (FreeReg2.freereg.org.uk : accessed 30 January 2016); entry for marriage of Thomas and Margaret Sikett, 13 July 1595, St. Andrews, Newton Tony, Wiltshire [England]. Jane Fletcher Fiske, "New Light," 57. FreeReg, "basic search," Database, FreeReg (FreeReg2.freereg.org.uk : accessed 30 January 2016); entry for marriage Christopher Osgood and Elizabeth Brockwell, 30 October 1599 at St. Thomas, Salisbury, Wiltshire,[ England]. Jane Fletcher Fiske, "New Light," 55. "England Marriages, 1538–1973," database, FamilySearch(https://familysearch.org/ark:/61903/1:1:NJVC-SZW : accessed 30 January 2016), Christopher Osgood and Mary Everatt, 1632; citing Saint Mary, Marlborough, Wiltshire, England, reference 2:12RLDN7; FHL microfilm 950,274. "England Marriages, 1538–1973," database, FamilySearch(https://familysearch.org/ark:/61903/1:1:NJVC-SXH : accessed 30 January 2016), Christopher Osgood and Margery Towller, 1633; citing Saint Mary, Marlborough, Wiltshire, England, reference 2:12RLF43; FHL microfilm 950,274. 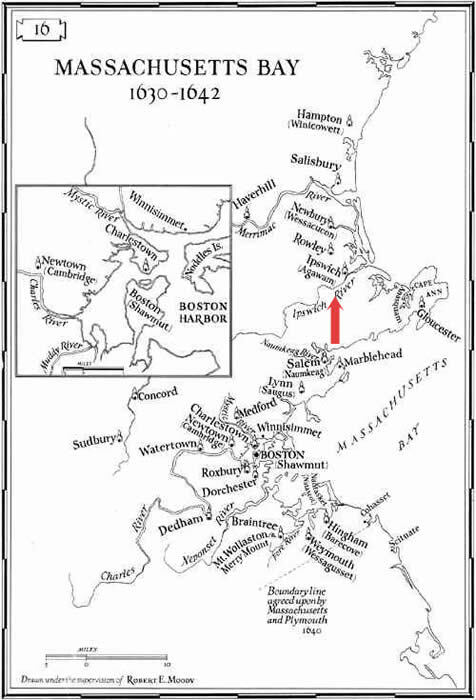 Robert Charles Anderson, Great Migration Immigrants to New England, 1634-1635, Vol V, M-P, 318, (Boston: New England Historic Genealogical Society, 2007), digital images, American Ancestors (https://americanancestors.org : accessed 30 January 2016), 321. Anderson, Great Migration 1634-1635, 318.